Liver, wheat germ, cauliflower and eggs. Tasty? It’s not a shopping list, but rather a rundown of foods high in the next mineral to be studied and studied and studied: choline. All medical studies must be taken with a grain of salt – unless they deal with high blood pressure, of course. In that vein, let’s examine an article scheduled to appear in the June issue of The FASEB Journal. It’s based on a research form a grant from the U.S. National Institutes of Health and studies choline. Preventing birth defects: According to population-based research, infants from mothers whose diets were deficient in choline were four times more likely to have neural tube defects such as spina bifida. This increased risk was observed even when other nutrients that help prevent birth defects, such as folic acid, were in adequate supply. Improving memory: Research suggests that choline is essential for proper fetal and infant brain development. It appears that choline affects the areas of the brain responsible for memory function and life-long learning ability. Reducing heart disease risk: Choline, like folate, is involved in breaking down homocysteine, an amino acid in the blood that may be associated with an increased risk of heart disease. In fact, research shows that choline deficiency results in increased homocysteine levels. 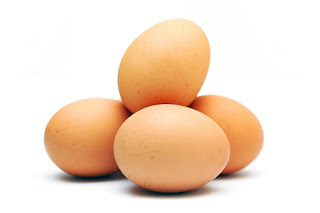 Choline, an essential nutrient found in foods such as eggs, is associated with a 24 percent reduced risk of breast cancer, according to this study of more than 3,000 adult women. The risk of developing breast cancer was 24 percent lower among women with the highest intake of choline compared to women with the lowest intake. Women with the highest intake of choline consumed a daily average of 455 mg of choline or more, getting most of it from coffee, eggs and skim milk. Women with the lowest intake consumed a daily average of 196 milligrams or less. Only 10 percent of Americans meet the recommended intake for choline. According to the Institute of Medicine, adequate choline intake is 550 milligrams per day for men and breastfeeding women, 425 milligrams per day for women, and 450 milligrams per day for pregnant women. One egg contains 125.5 milligrams of choline, or roughly a quarter the recommended daily supply. Choline is found exclusively in the egg’s yolk. 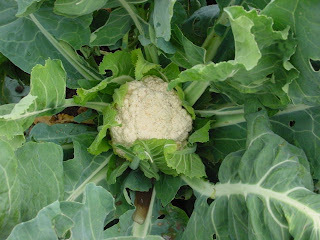 Other top food sources of choline include liver, wheat germ and cauliflower. Fun food facts to know and share.